Purchase online SDH6964 PWM+PFM Controller in India at low price from DNA Technology. 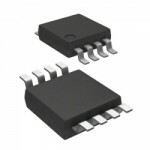 SDH6964 is current mode PWM+PFM controller with built-in high voltage MOSFET and high-voltage startup constant current source used for SMPS, compliant with Energy Star 6.0 standard. 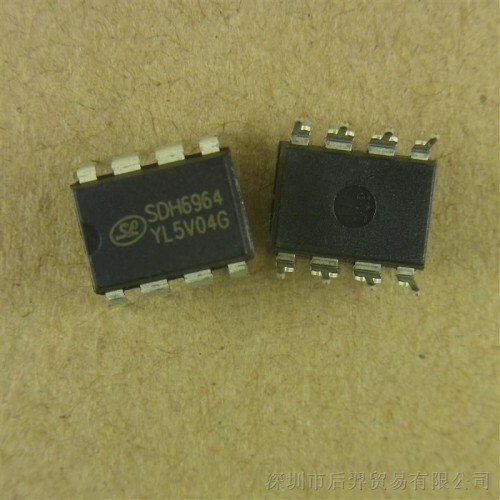 This circuit has built-in high-voltage startup constant current source, features low standby power dissipation (<40mW) and low start current, has many kinds of operating modes. In light load condition, it works in PFM mode to improve the conversion efficiency. In standby model, it enters burst mode to reduce the standby power dissipation. Built-in peak current compensation circuit makes the limit peak current stable even with different input AC voltage. Limit output power can be adjusted through the resistor. Maximum peak current compensation during power-on reduces pressure on transformer to avoid saturation, the peak current compensation will decrease for balance after power-on. It integrates various protections such as undervoltage lockout, overcurrent protection, overload protection, lead edge blanking, primary winding overcurrent protection and thermal shutdown. The circuit will keep restarting until normal if protection occurs. 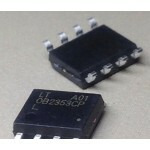 OB2353 Low Power Off Line SMPS SwitcherOB2353 combines a dedicated current mode PWM controller wit..
OB2535 PWM Power SwitchOB2535 is a high performance offline PWM Power switch for low power AC/DC cha..